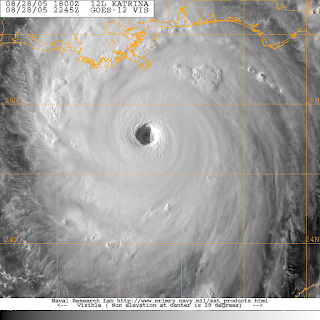 It's been ten years since the pummeling of the Gulf Coast by Hurricane Katrina. Our coverage of the storm's tenth anniversary over the past days has shown the area to have had a mixed recovery - some doing very well, others struggling to not only rebuild but get back to the way life was. Others have left the area. Change was universal along the Gulf Coast - geographically, economically, sociologically. Some things, at the surface, remain the same but many things have changed. One of our readers, Christopher Howell, lived in Louisiana when Katrina struck and has since relocated to Mount Laurel. He was generous enough to share his experiences with us. They, like many who lived near New Orleans, tell a similar tale of escape, return, and dealing with the shift in life that the storm brought. 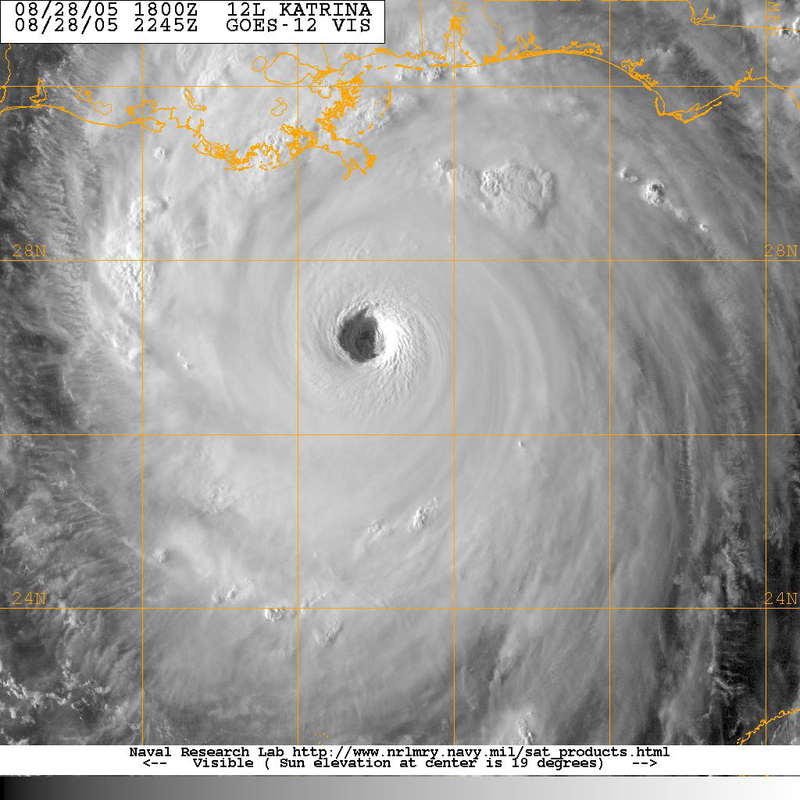 Howell evacuated from his Mandeville, LA, home the day prior to Katrina's arrival, heading to Monroe, LA. Staying at a motel for two days, the Howell and his pregnant wife were booted out by the motel manager as a result of price gouging. He and his wife had lived in New Orleans' Gentilly neighborhood for a number of years until relocating to Mandeville, on the north side of Lake Pontchartrain, after being victimized in a carjacking. The Howell's old home received thirteen feet of water from levee breeches in the wake of Katrina. His new home received some wind damage to the roof. He was lucky; his in-laws were not, as they also resided in the city and were victims of eleven feet of storm surge. Chris and his wife headed to Baton Rouge for about a week before returning home...and then twelve days after Katrina struck, New Orleans. "The way I describe the city after the water went down, some twelve days later...imagine standing in front of your house, do a 360 degree turn and everything is black and white. Trees, plants, lawns all dead from the toxins in the water," Howell recalled. "You look at your house and see numerous water lines on the house, one where the water crested and another where the water slowly was pumped away. Cars drive by, kicking up dirt and soot of leftover mud and debris. Your front door has been kicked in and you have a bright orange circle with an X through it. Marked on this was the date the home was searched, the number of bodies, number of pets, and which agency searched the property. Then notice which of your neighbors had holes in their attic, from which they had to crawl out to be rescued." "Walk into your house and you will see all of your furniture tossed and moved into different rooms as it floated. Then you notice the toxic mold growing on your walls. The smell and sight is something that I will never forget." Looting, which was common in New Orleans, also occurred outside of the city - including Mandeville - as well. This lead to additional problems. "The big ticket item was copper wiring or pipes. People who started to rebuild would show up at their home to see the house flooded, not by a storm, but by criminals who stole the pipes and did not shut off the water." Additionally, electronics and jewelry were also taken. "It was commonplace that when you evacuate you move TV and valuables that you are not bringing to the second floor of the house. So criminals had free access to what was left behind. This happened to my mother-in-law, who kept jewelry hidden in an upstairs bedroom but was found in the looting and stolen." The Howells moved to South Jersey in 2006.
c) 2005-2013 Phillyweather.net. Forecasts are unofficial speculation as to what may happen. Powered by Blogger.